County fair queens are a familiar sight, moving with their courts through crowds of fair-goers, smiling, waving and representing their realms. 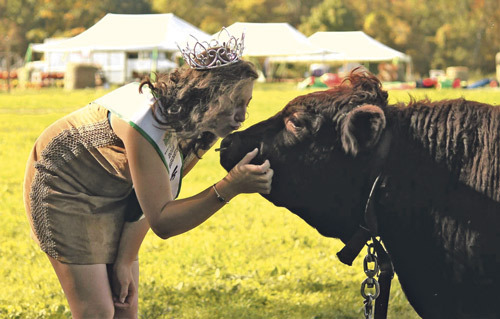 Dairy princesses do the same, representing milk producers in their areas. But what about those who want to share their love of agriculture as a whole? That’s where the new Miss Agriculture USA program comes into play. The program became a nonprofit organization in July 2018 and officially launched in August. Within its first six months, it has already recognized 105 queens. Queens need only to apply to be considered, and there are divisions for all ages – Baby (up to 23 months), Tiny (two – three years), Future Little (four – five years), Little (six – seven years), Petite (eight – 10 years), Junior (11 – 13), Teen (14 – 16), Miss (17 – 20), Ms (21 – 30), Mrs (21 – 30) and Elite (31 years and up). “There is an opportunity and a need for people to speak positively about agriculture,” Wingert said. 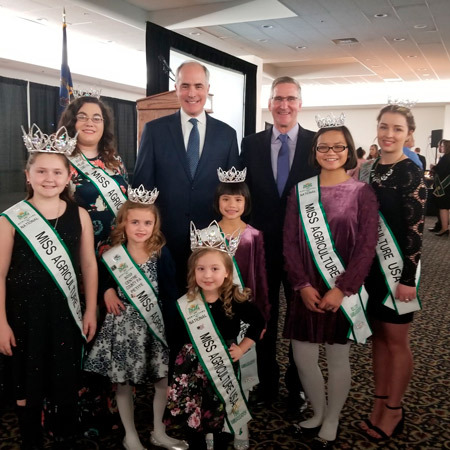 “There is something magical about that crown and sash that just draws people in.” The organization has ambassadors as well as queens, and Wingert said they aim to make it a learning experience for everyone. Lisa Brooks, in charge of sponsorship and sponsor relations for Miss Ag USA, has two daughters involved in the program, Baby Queen Madalyn (17 months) and Ambassador Olivia (four years). “Having a younger child, you hear that kids think things just come from the store or an Amazon box. This program helps bring awareness to agriculture, to the different products available,” Brooks said. She and Olivia host a lot of social media days on specific topics, posting or sharing videos to educate people about different aspects of agriculture – “and we’re learning things a lot of adults don’t know,” she laughed. There are already queens as far south as Texas and Florida, as far north as Massachusetts and North Dakota and as far west as Washington. “We make impacts in those communities as well as through the power of social media. We make connections across the country,” Wingert said. Harley-Anne Rose is the only queen currently representing Massachusetts, and she said she decided to join the program because it empowers women to speak up and use their voices to make a difference. Rose, who is attending Quincy College, is a former state reporter and former treasurer for the Massachusetts FFA Association and works on Nessralla Farm in Halifax, MA. She credits the program for giving her the opportunity to learn more about the industry in her area and across the nation. Miss Ag USA is based in Pennsylvania, but Wingert wants to see it grow to the point there is a queen in every state. “We already surpassed our first goals,” she said. “We know we have something special. We’re really passionate about agriculture and our queens.” As the program grows, it will be working on giving back to the queens through scholarships. And while there is a national competition, it is not the be all, end all for the program. “Our queen competition is one day. We like to focus on what we can do during the other 364,” Wingert added. For more information on the program, visit www.missagricultureusa.org.